I’ve written a lot about conference rooms. The reason for that is because it’s a reflection of what is happening in office settings as we speak. The rise of the open office concept means it’s more important than ever to have meeting spaces that reflect the move away from cubicles and personal work stations to the more communal and collaborative nature of the modern workplace. 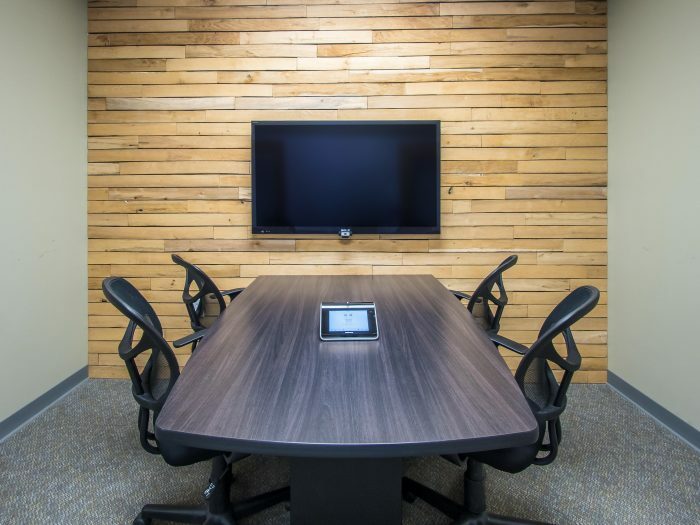 Conference rooms simply can’t be like the ones of old anymore. You know the rooms I’m taking about, with the overhead projectors and easels, or perhaps a whiteboard. No, today’s meeting room has to be state of the art. Here are a few key things you would need to make yours just that. Inconsistent coverage or an unreliable internet connection can be time consuming to deal with in a meeting when so much of what you may be doing is connecting remotely with staff, or worse, clients, whose impression of your business is built upon their communication with you. But a trusty, solid internal network is probably the most important thing to have in your meeting spaces. If your devices can’t communicate with each other, then you’re back to that antiquated style of meeting I discussed above. A network, which consists of a good router, sufficient access points, and a network switch, need to be your first priority for the room. To avoid double booking, a scheduling system should be in place that allows anyone in the office to view the room’s schedule and easily determine availability. This can look like anything from the scheduling tool in Microsoft Exchange to an all in one presentation system that has scheduling built into the platform. Meetings often require visuals as part of a presentation, but gone are the days of projection systems that require dimmed lights. 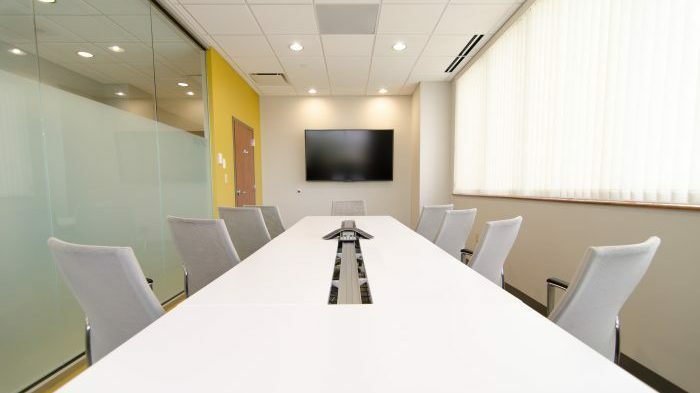 Today’s meeting rooms generally use large television screens that allow the meeting to continue without disruption. A wireless presentation system allows you to view content with the utmost convenience. This type of system can accommodate frequent users as well as guests without requiring them to connect any cables to their own devices. 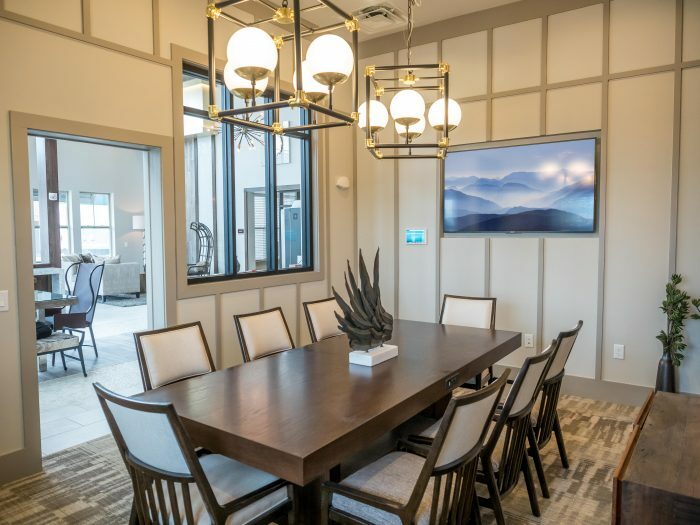 There are many options out there, so be sure to choose one that has all the features your room requires, such as airplay support, annotation capabilities, split screen features, and moderator functions. 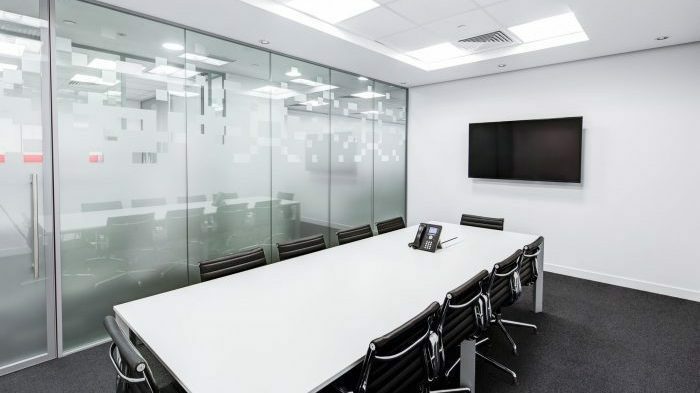 Occupancy sensors conserve energy consumption in the room by responding to the motion or absence of motion in the room, and can control things like lighting and temperature accordingly. It’s an easy, yet impressive addition to any meeting room. 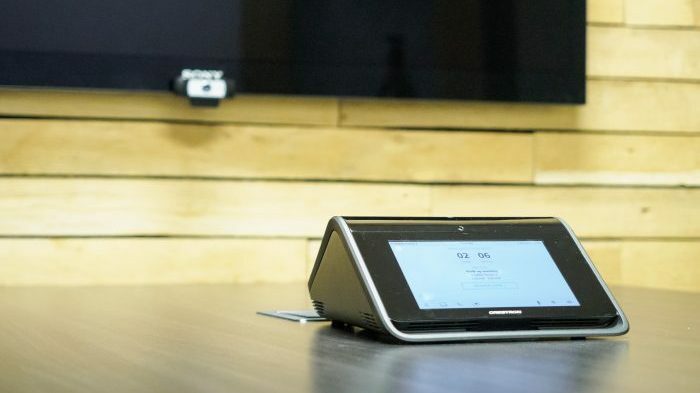 Now, with a presentation system, you may have already have video conferencing capabilities built in, but if you don’t, it’s an absolute requirement. And there are a lot of options. 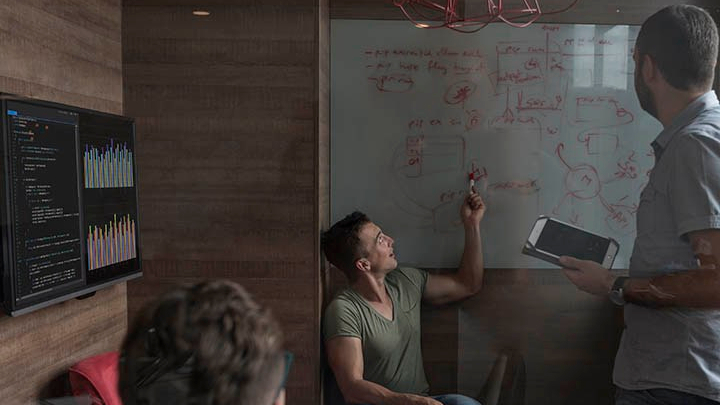 From hardware systems like Cisco or LifeSize, to software such as Skype or GoToMeeting, you have to be able to connect to those outside the meeting room as though they are also present. A control system is the workhorse that allows the user to interact with the room and all its equipment. Your control system should be simple to use and easily understood by everyone. A good system can do everything from lighting control to volume adjustments and video routing. Reliability and flexibility is the highest priority when selecting a control system. With these items in place, conferencing can be an easy addition to the day that enhances productivity, not something that interrupts workflow. As you can see, it really only takes a few key components to put your conference room ahead of the curve.